Finding a mental-health-care provider can be daunting. Here is some helpful information to get you started as you search for someone to help you or your family find a better way forward. If you’re reading this article, chances are you’ve decided to get some extra help from a mental-health counselor. When you seek out a mental-health-care counselor, remember that this person is required to keep the content of your sessions completely confidential. Also keep in mind that many people have sought counseling from a mental-health professional and found it very helpful. Sometimes worrying about confidentiality or feeling mired down by the stigma of seeking mental-health care can keep people from actually finding a practitioner. Social workers. Social workers don’t just handle case management. Clinical social workers also can provide counseling if they have an advanced degree and supervised clinical experiences. Marriage and family therapists. In some states, marriage and family counselors also can provide individual counseling. Their training, though, often includes more course work in family systems. Like other licensed counselors, they also need to have supervised experience. Professional counselors. Professional counselors have a master’s degree that includes both theoretical and practical course work. Professional counselors can provide couples and family counseling in addition to individual counseling. They also complete an internship and supervised hours to become fully licensed. Psychologists. Not all psychologists can provide counseling. Psychologists who provide therapy have completed PhD or PsyD programs with a clinical program and supervised experience. Psychiatrists. Although psychiatrists have a lot of the same training as other mental-health professionals, their ability to prescribe medication sets them apart. In fact, most psychiatrists do not function as a client’s primary counselor; rather, they work with the counselors and provide pharmacological support as needed. Asking friends, checking with your insurance company, talking to your primary-care provider, and using online directories such as Psychology Today’s can help you find clinicians in your area. If you work, you might be able to get free sessions with a therapist as a benefit through your company’s Employee Assistance Program (EAP). The Military & Family Life Counseling (MFLC) program, available through MHN Government Services, can also provide help with issues such as sadness, stress, adjustment, and grief and loss. Both EAPs and MLFC are usually short term and not suitable for some types of problems. Is the provider taking new clients? When can the provider get you in? If you need to wait a long time to get an appointment or if the therapist isn’t taking new clients, you might want to expand your search so you can get relief sooner. Does the practice take your insurance? If the practice accepts insurance but doesn’t take yours, its self-pay rates are likely very high. Practitioners who do not take insurance are more flexible in terms of offering lower rates or sliding-scale fees. It is possible to find pro bono therapy or services at a reasonable rate through agencies that use student interns who receive regular supervision through more experienced professionals. Others keep pro bono slots open. Don’t assume you can’t afford it. Where is the office located? What hours are available? An office located conveniently to your work or home can make keeping appointments or having the flexibility to accept last-minute appointments a lot easier, especially if you are going frequently. Does your practitioner work alone or as part of a clinic? Sometimes there can be high turnover in clinics, especially if they use student interns. The advantage of a clinic is that you often can avail yourself of psychiatric services and group therapy in addition to your individual sessions, and your providers will coordinate with one another. Why are you going to therapy? Therapists receive training that is easily generalizable. If you have a specific concern, however, find out if your therapist has experience specific to that area. If therapy is for your child, find out if that therapist has seen children before and if he or she is trained in play therapy. What is the therapist’s approach? Are you comfortable with the therapist? If you are fundamentally uncomfortable with your therapist’s approach, personality, or anything about the practice, seek someone else. Therapy can be uncomfortable no matter how awesome your therapist is, but if your therapist isn’t someone you want to talk to, it is time to move on. Have complaints been filed against the therapist? You can get this information from your state’s licensing board. The hardest part of the process is deciding you want some extra help. If you’ve gotten this far, you are probably motivated to find a better way forward for yourself, your child, or your family. If you’ve been to therapy before, you might know what works (or what doesn’t). 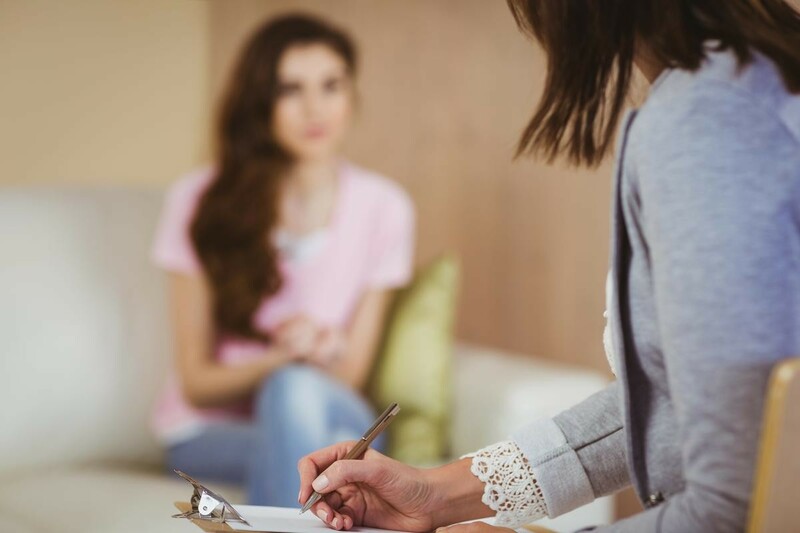 Finding a therapist for the first time can sometimes be daunting, but there are many competent, compassionate, helpful mental-health professionals out there to help you start feeling and functioning better. If the process of finding a therapist is still daunting, turn to our confidential community of Moms in our Sister Chat section who will share their wisdom and experience.